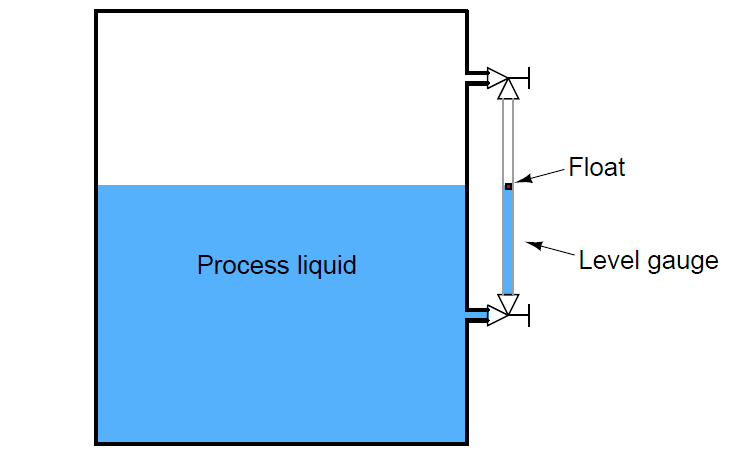 Perhaps the simplest form of solid or liquid level measurement is with a float : a device that rides on the surface of the fluid or solid within the storage vessel. The float itself must be of substantially lesser density than the substance of interest, and it must not corrode or otherwise react with the substance. 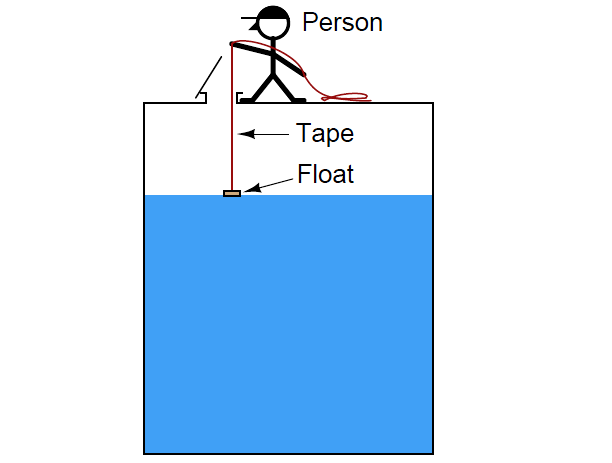 A person lowers a float down into a storage vessel using a flexible measuring tape, until the tape goes slack due to the float coming to rest on the material surface. At that point, the person notes the length indicated on the tape (reading off the lip of the vessel access hole). This distance is called the ullage, being the distance from the top of the vessel to the surface of the process material. Fillage of the vessel may be determined by subtracting this “ullage” measurement from the known height of the vessel. Obviously, this method of level measurement is tedious and may pose risk to the person conducting the measurement. If the vessel is pressurized, this method is simply not applicable. 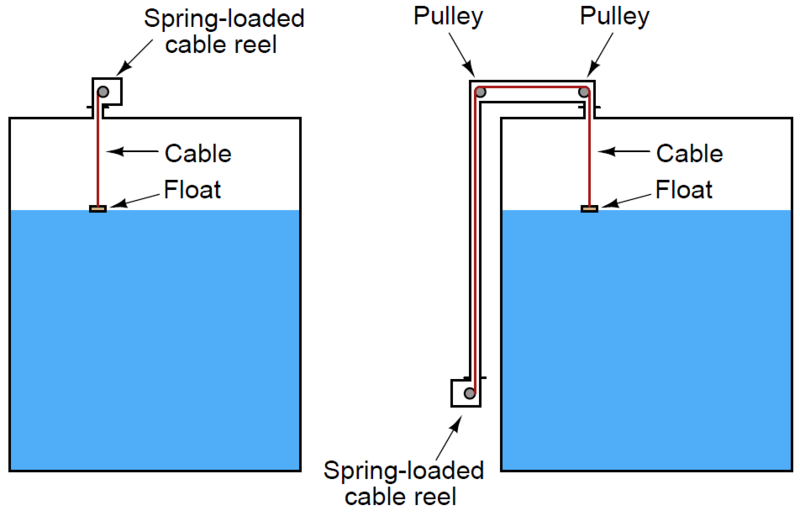 A simpler version of this technique uses a spring-reel to constantly tension the cable holding the float, such that the float continuously rides on the surface of the liquid in the vessel. 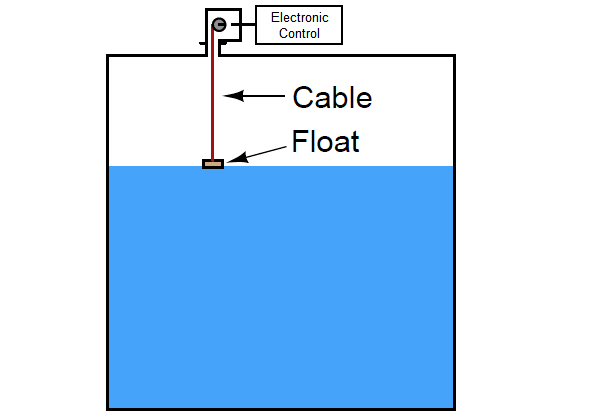 Note : A spring-loaded cable float only works with liquid level measurement, while a retracting float will measure liquids and solids with equal ease. The reason for this limitation is simple: a float that always contacts the material surface is likely to become buried if the material in question is a solid (powder or granules), which must be fed into the vessel from above. The spring reel’s angular position may be measured by a multi-turn potentiometer or a rotary encoder (located inside the “head” unit), then converted to an electronic signal for transmission to a remote display, control, and/or recording system. 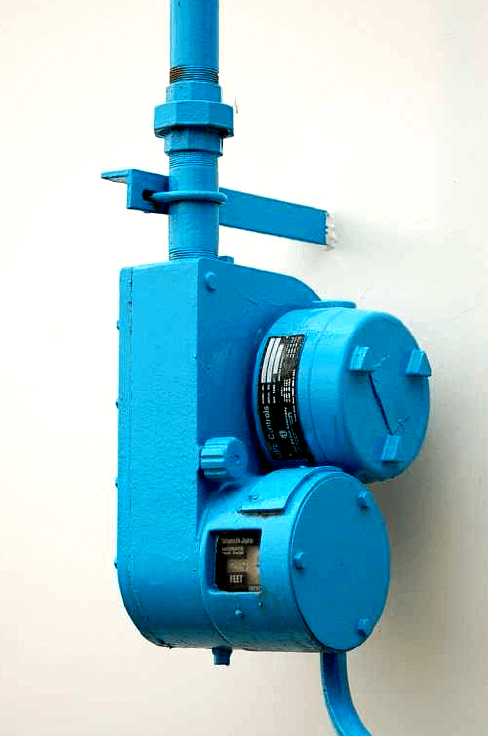 Such systems are used extensively for measurement of water and fuel in storage tanks. The float’s position inside the tube may be readily detected by ultrasonic waves, magnetic sensors or any other applicable means. 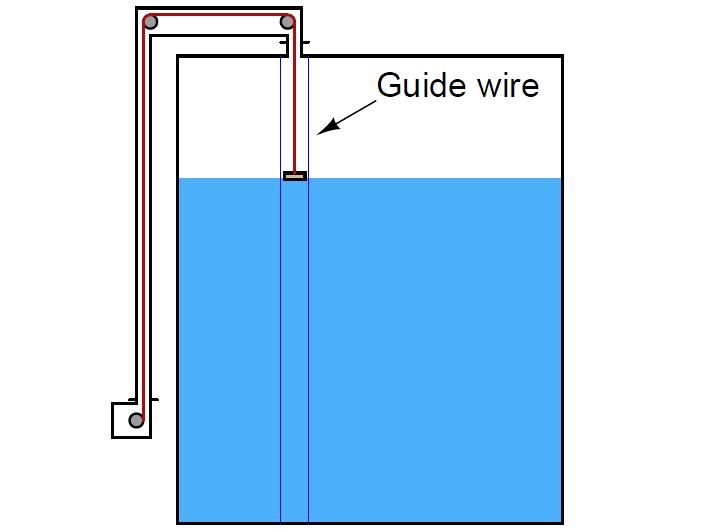 Locating the float inside a tube eliminates the need for guide wires or a sophisticated tape retraction or tensioning system. 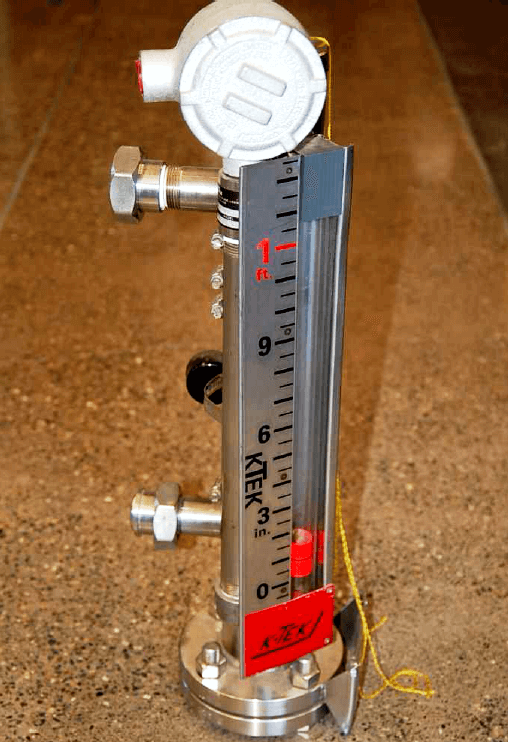 If no visual indication is necessary, the level gauge tube may be constructed out of metal instead of glass, greatly reducing the risk of tube breakage. All the problems inherent to sight glasses, however, still apply to this form of float instrument. Two major advantages of a magnetically-coupled float is increased pressure rating and safety (since the float tube need not be constructed of clear material such as plastic or glass), and increased readability (since the viewing tube will never get dirty with process fluid residue, and the float may be brightly colored).